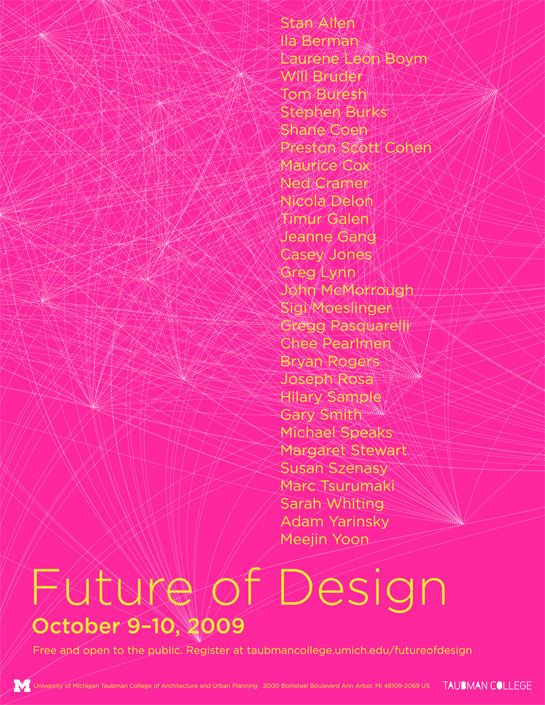 University of Michigan’s Taubman College is hosting the Future of Design conference, Oct. 9 & 10, 2009. Thirty designers, critics and provocative thinkers will come together to brainstorm about how design is evolving across various disciplines including architecture, landscape architecture, interactive, industrial, and interior design. The presentations are free and open to the public. The speakers will present their views in 15-minutes segments. All segments, including the round table discussion at dinner, will be available at YouTube starting Oct. 19, 2009.